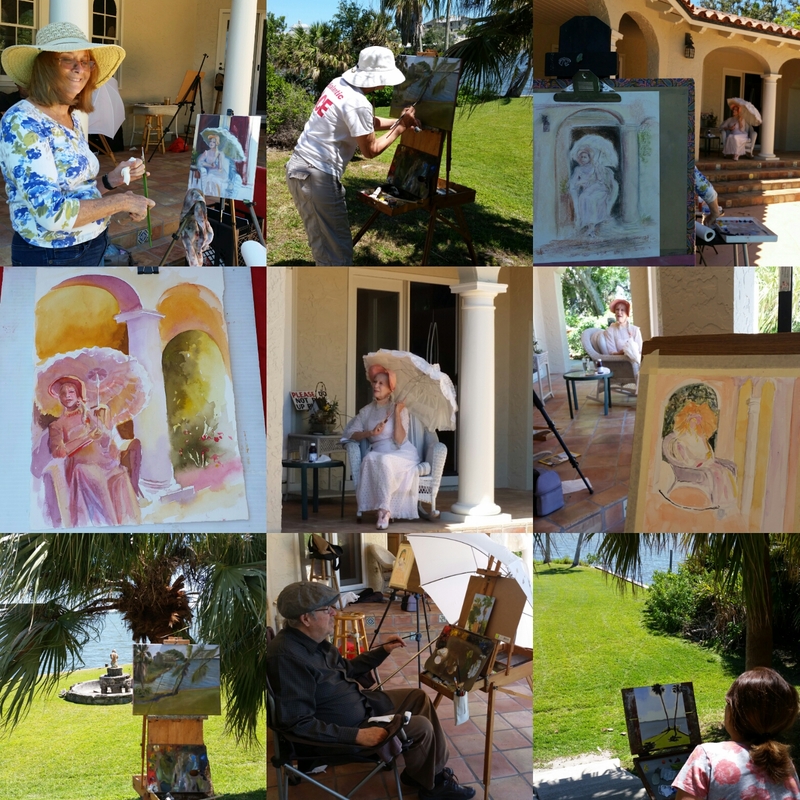 Marg Kuhl kindly hosted Plein Air at her home this week. Cindy modeled for us, in costume. Some chose to paint the lovely model, and others headed to the beautiful waterfront - great work, everyone!